Minimalistic contemporary style makes this bar unit a serving piece and display piece in one. The sleek design features a durable metal frame, a demilune shape tempered glass top and smoked acrylic front. The black finish base shelf and secondary shelf below the glass top completes the look of this bar unit. The middle of the unit includes a demilune shelf and stemware storage. The Bar Units and Bar Tables Contemporary Bar Unit with Smoked Acrylic Front by Coaster at Northeast Factory Direct in the Cleveland, Eastlake, Westlake, Mentor, Medina, Macedonia, Ohio area. Product availability may vary. Contact us for the most current availability on this product. The Bar Units and Bar Tables collection is a great option if you are looking for Contemporary furniture in the Cleveland, Eastlake, Westlake, Mentor, Medina, Macedonia, Ohio area. 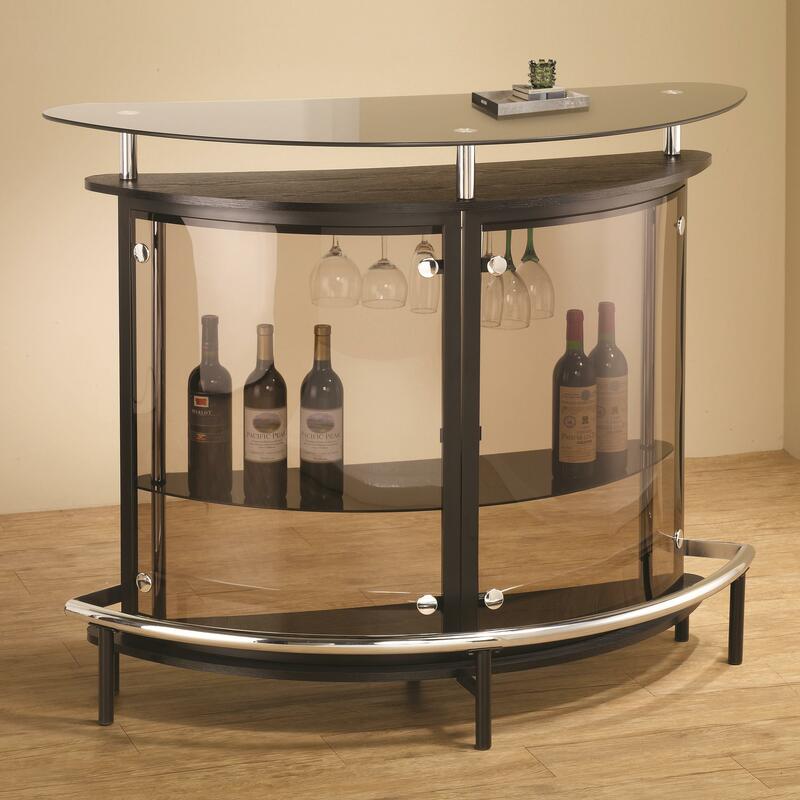 Browse other items in the Bar Units and Bar Tables collection from Northeast Factory Direct in the Cleveland, Eastlake, Westlake, Mentor, Medina, Macedonia, Ohio area.